This is one of our most popular and adorable mementos. 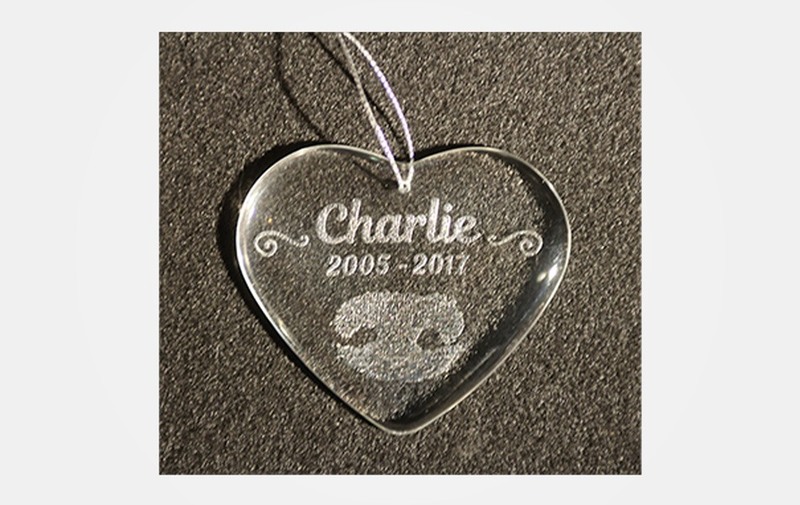 Your pup’s nose print and name is engraved on a crystal heart. It’s perfect for a Christmas tree or just to hang in the house. It’s 3 inches wide and 2 1/2 inches tall.